I wish I had the time and the house to do something like this. Amazingly well constructed and lined up to fit the frame. 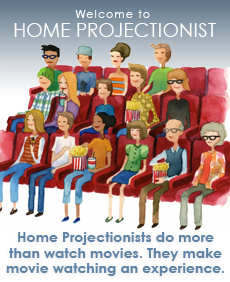 This is what I call a true Home Projectionist!